(John the Baptist)1Now the Spirit expressly says that in later times some will depart from the faith by devoting themselves to deceitful spirits and teachings of demons, 2through the insincerity of liars whose consciences are seared, 3who forbid marriage and require abstinence from foods that God created to be received with thanksgiving by those who believe and know the truth. 4For everything created by God is good, and nothing is to be rejected if it is received with thanksgiving, 5for it is made holy by the word of God and prayer. 6If you put these things before the brothers, you will be a good servant of Christ Jesus, being trained in the words of the faith and of the good doctrine that you have followed. 7Have nothing to do with irreverent, silly myths. Rather train yourself for godliness; 8for while bodily training is of some value, godliness is of value in every way, as it holds promise for the present life and also for the life to come. 9The saying is trustworthy and deserving of full acceptance. 10For to this end we toil and strive, because we have our hope set on the living God, who is the Savior of all people, especially of those who believe. "who forbid marriage and require abstinence from foods that God created"
The catholic church forbids the priest from marriage. The catholic church forbids eating meat on fridays. (Cristoiglesia) First of all the Church does not forbid marriage but instead encourages marriage. Priests take a vow of chastity by their own choice. There are 23 Rites in the Catholic Church and of these 23 Rites only one chooses from among the candidates who have chosen to remain chaste. Both St. Paul and Jesus recommended chastity for those in ministry so your argument is with them and not with the discipline among priests being obedient to what Jesus and St. Paul recommended. Fasting is a form of prayer to God in which we sacrifice for Him in order to focus on Him instead of worldly desires. Fasting is a practice of the Church from the beginning of the Church and it is a practice which was started by the apostles and continues today. So no food is forbidden it is just that once a week the faithful were asked to focus on the Lord instead of one’s earthly desires. Clearly this is not in opposition to biblical teaching which means that the food laws of the Old Testament are no longer necessary for Christians. Please refer to the first Council of Jerusalem where this was discussed and decided. It opened the way for the Gentiles to become Christians. (John the Baptist) "irreverent, silly myths"
The doctrines of mary the catholic church has invented. (Cristoiglesia) The teaching about the blessed mother of God is not irreverent, silly myths but is instead the truth. You should ask yourself why you and your sect hate the blessed mother of God so much and why you are not a part of those who call her blessed as the Bible states the faithful in Christ will do. Do you really believe that Jesus approves of you and others attempting to marginalize his mother who always points to her Son as the source of our salvation and hope? (John the Baptist) This is what is happening to the catholic church today. (Cristoiglesia) If you mean teaching the truth then you are correct but you are suggesting error without any reasonable explanation and only making empty accusations. (John the Baptist) "But you, when you pray, go into your inner room, close your door and pray to your Father who is in secret, and your Father who sees what is done in secret will reward you. 7"And when you are praying, do not use meaningless repetition as the Gentiles do, for they suppose that they will be heard for their many words. The Rosary is a meaningless repetition of a prayer to mary. (Cristoiglesia) Personally I rarely pray the Rosary but instead I pray the Breviary. It is obvious that you do not know anything about the Rosary prayer. The Bible forbids vain repetition in prayer. The operative word is “vain”. 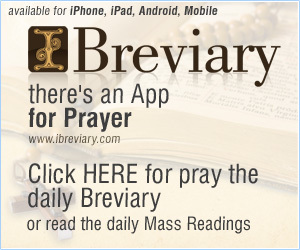 The Rosary prayer is as far from a vain repetition as one can get when praying. The Rosary prayer focuses on God, especially his passion for us, and in the Rosary prayer we evoke the blessed mother of God as our prayer partner to her Son. It is far from meaningless, vain or repetitious in the sense of the Scripture you recite out of context and understand by eisegesis. (John the Baptist)You really should listen to people like Dr. Stanley and Dr. McGee for they do have a lot of knowledge about God and His Book the Bible. They have millions and millions of Christians learning from them. How many people are listening to you? Very few if any. (Cristoiglesia) I did not enter into ministry for fame and fortune but to spread God’s Word. The people you cite are false teachers who satisfy the itching ears of those who cannot endure sound doctrine. If one learns false teaching does that make on more faithful to Christ or less faithful. I would suggest the latter. That is the reason that the Bible says we are not to follow such teachers. The Bible further states that such misplaced devotion may be the cause of the destruction of the soul. The Bible warns such people that at judgment that our lord will state, “depart from me, I never knew you.” There are over a billion Catholics who listen to and follow the teaching of the Church to the best of their ability. (John the Baptist) The catholic church and you are Irrelevant today, you cannot keep the people from following Jesus like the catholic church has done for hundreds of years. Hopefully on day you will wake up to the truth in the Word of God the Bible. (Cristoiglesia) By irrelevant you are saying that the teaching of the disciples and Jesus are not relevant in these modern times and that modernist teachers are more in line with what people want to hear than Christ’s own Church. Certainly you seem to be an example of one enticed by their worldly relevance. Such relevance does not please God who spoke of abstaining from the worldly and embracing his kingdom instead. Do you really believe that those teachers that are in protest of Christ’s own Church and his teaching through his Church are provoking people to come to Jesus by their heretical false and worldly teaching. Do you not believe the Bible when it says that his Church is the “pillar and foundation of the truth” and not these heretics? Do you think that maybe people who follow these false teachers are in danger just like Jesus said? A reasonable person not persuaded by the doctrines and churches of men would reject these false teachers and be faithful to the authority that Jesus placed on earth for his faithful which is his Church. The Church has endured for 2000 years as Christ promised and will endure until the Parousia just as he promised. You may remain outside of the Ark of His Church that he provided for all humanity from a sinful and seductive world and suffer the fate that he warns all men which is hearing his words, “depart from me, I never knew you”. Jesus calls all men to be faithful to his Church. He is calling you home to his Church. Give up your worldly pride and do his will. Jesus prayed at the mount of olives at the Garden of Gethsemane before his arrest and subsequent sacrifice to his Father that we all be one as he and the Father are one.” That unity of his will is in his Church. God bless! Continuing discussion with one calling himself "John the Baptist"
(John the Baptist) Its interesting that Scriptural teaching actually involves the Scriptures in the bible! (Cristoiglesia) Correct and it involves all of the Scriptures and using a proper hermeneutical approach to them. It also involves all of the Scriptures including all of the books that the Protestants have removed from Scriptures. Only if the Bible is approached this way can anyone come to rational and correct theological conclusions. The New Testament of the Bible is written by Catholic Christians and it is about the Catholic Church. The Bible obviously follows the Church. Contrasted to the Protestant churches use the Bible to support their man-made doctrines and practices without considering its broader contextual teaching. What results is cobbled together theology that supports preconceived conclusions. The Catholic Church has a different approach and that is to go to the Bible to learn instead. We do not need a book to base our beliefs on as we have our founder Christ a we represent His teaching in practice. We are His promises of an enduring Church that is free from apostasy because of the teaching authority He left on earth that remains through apostolic succession. Sometimes one has to study for things to make sense but study is much like when a athlete practices. His practice must be perfect for the athlete to become perfected. Practicing to do something incorrectly just makes one better at error. So too when you study you must use good source material otherwise you just get better at knowing what is false instead of the truth. Studying the Scriptures requires good teachers knowing sound doctrine. The Bible teaches us what happens to people who gather around them those teachers who satisfy our itching ears instead of those who teach the truth. It is through learning that we accept sound doctrine that is sometimes hard teaching as Jesus gave the example in the Synagogue in Capernaum in John 6 where almost all of His disciples left Him over His teaching to eat His Body and drink His blood. He said these hard teachings are not understood by reason or carnal and worldly knowledge but by faith through our spirit for those who are in Christ. The Protestant churches are based on worldliness and secular humanist philosophy. Coming out of Scholasticism the world was prepared by Satan to receive false teaching. Many people found the Church repressive by demanding that to be in Christ we must be obedient to Christ in His Church. Out of pride they grew weary of a God and a Church that taught that our purpose was to serve God. They were susceptible to the teaching of a God that served man instead. This began the spread of schism and all kinds of false teaching. There are now well over 30,000 exponentially increasing schisms in the Church with each representing a wound to the Corpus Christi. We know that the Bible teaches us that we will know them by their fruits and the fruits of Protestantism is division and false teaching mixed with some truth. So, in conclusion, The Catholic Church, Christ's own Church which inspired with the guidance of the Holy Spirit the New Testament Scriptures and canonized the entirety of the Christian Bible by all reason and scholarship must contradict the Bible the least of all. In this case the Church does not contradict the Bible in any sense but is the personification of the Bible and heaven on earth. (John the Baptist) One more time for Scriptural teaching. Where in the Scriptures of the bible does God say mary is the Queen on Heaven? • God is the King of all the earth, Ps. 47:7 (Zech. 14:9, 16). • mine eyes have seen the King, the Lord of hosts, Isa. 6:5 (2 Ne. 16:5). • thy King cometh unto thee, Zech. 9:9 (Matt. 21:5; John 12:15). • Art thou the King of the Jews, Matt. 27:11 (Mark 15:2; Luke 23:3; John 18:33). • This Is Jesus the King of the Jews, Matt. 27:37 (Mark 15:26; Luke 23:38; John 19:19). • on his thigh a name written, King of Kings, Rev. 19:16 (Rev. 17:14). As you can see the Bible clearly states on many occasions that Jesus is our King. If you had studied the culture of biblical times you would know that the mother of the king is always referred to as the queen. So, in calling the blessed mother of our Lord “Queen” it is simply affirming and giving praise to her Son as we recognize Him as King. This is just another way that the blessed mother of God points to her Son as to where our hope lies and our worship should be directed. Do you also need me to provide the Scriptures telling us that the blessed mother is the mother of Jesus? I can do so but it would be better for you if you researched the Scriptures for yourself to enhance your knowledge. (John the Baptist) To do Scriptural teaching of this doctrine you need to show actual Scriptures that back up this doctrine. Not man's logic and wisdom in what the catholic church wants to be a doctrine. You need proof that this doctrine is from God. But all i see from the catholic church is man' rambling about nonsense and pure gobble **** with absolutely no evidence from the very Bible your church claimed to have written. (Cristoiglesia)The misuse of Scripture does not help credibility for one may encounter those knowledgeable in Scriptures like those encountered by St. Paul and St. Silas in Acts 17:11. When one practices this kind of deception it makes them appear as a demagogue instead of one being a teacher in truth. It would be better if one simply stated one’s opinion without the “proof text”, which with proper exegesis does not prove or support one’s opinions. Certainly, the Bereans would have been even more skeptical if St. Paul and St. Silas had used improper hermeneutical methods in spreading the Gospel and would have had little success. The Bereans would have noticed that the use of Scriptures did not support the claims when understood using proper methodology. In fact, proper understanding of the Scriptures often illustrates the opposite of what is claimed. Much too often those attempting to convince others of their views are those that are predisposed to hate others and find it necessary to justify their own beliefs while demogoguing those beliefs held by others. Before one uses “proof texts” to support one’s position, one should be aware that the scriptures they are using are a translation from another language that most often does not allow a word for word translation but instead the translator must seek equivalence in meaning rather than it being an exact word for word translation. Today we are two thousand years removed from the writing of the NT Scriptures, are in a different place and a different culture. For proper exegesis these things must be taken into consideration. This is why the Reformers, especially Martin Luther, were frightened and feared damnation by the misunderstanding of the new theory of “sola Scriptura”. This theory was meant to be a partnership between the layman and the scholar and not a license for each individual to become their own theologian. This is how false teaching propagates itself and is responsible for thousands of exponentially increasing schisms within the body of Christ. This is why many of us (conservative, traditional and orthodox) in the Christian academic community use the interpretation theory of grammatico-historical exegesis. This method dictates that one coming to understanding of Scripture take into consideration the language , history and culture in which it is written or the context of the time, culture and history. To do otherwise is to allow our preconceptions to determine the meaning causing great error. We must learn and to strive to turn off our mental filter and allow the Scriptures to instruct instead of allowing our preconceptions to obscure what the Scriptures teach. When doing apologetics it is better to use “proof texts carefully as not to misuse them to spread false teaching and doctrine. The proof text methodology of understanding Scripture meaning puts too much emphasis on the practical side of understanding. Typically the interpreter searches for topical texts to support their preconceptions. For instance, if one begins with a preconception that the Catholic Church is apostate, and that it’s various teaching and doctrines are false; one finds value in these texts and use them for their short, epigrammatic use of several key words that coincide with your presuppositional theme or topic rather than the evidence or support they actually bring from their own context. It is the ignoring of the context that makes this methodology wrong and, in fact, useless. This methodology treats the Bible as some sort of magical, mythological book where one can choose from its anthology of sayings for every occasion to support ones worldly views or fleshly desires. This is no different from the liberals or progressive Christians who use the Scriptures as a menu for creating their own personal theology and god, picking and using Scriptures without understanding. Scriptural texts always belong to larger units and address specific situations, coming out of historical purposes for which they were written and contexts for which they are now relevant. Most often, interpretation using this method shows a naïve reading of the text and disregards the purpose for which the text was written. There is no regard for the historical context which is relevant for understanding or the genre conventions which shape the understanding. What many have engaged in when using these texts is allegorization and other forms of reckless use of Scripture texts to support one’s prejudices against those whom they disagree, such as the Catholic Church, and have ignored their intended purpose and usage as determined by context, grammar and history. I cannot over emphasize the importance of context. Generally in apologetics those using improper methodology are among the thousands of cult groups just making attempts to spread animosity among the body of Christ. They are not attempting to contribute to the learning of others or to participate in a discussion or debate but to proselytize their cultist views or to confuse those who are seeking and are weak in knowledge. (John the Baptist) Sound doctrines? The doctrine of mary being the Queen of Heaven is not a sound doctrine. Sound doctrines are those in the Bible. Those which God has given us through the Word of God, not through a false church your Roman catholic church. (Cristoiglesia) So are you denying that Jesus is King or that the blessed Mother is indeed his mother? (John the Baptist) Your church has no authority to make up stories from men and call them doctrines of God. Your church has no authority to teach your doctrines as commandments of God. (Cristoiglesia) Correct but you would spend many lifetimes trying to find where the Church has done what you claim. The only man our doctrines come from is Christ which is why we are called the “pillar and foundation of the truth” as opposed by what the Bible says about people like yourself that can not endure sound doctrines and who seek out false teachers that will satisfy their itching ears. (John the Baptist) Your church the Roman catholic church is Irrelevant. (Cristoiglesia) Nothing Jesus founded or taught is irrelevant. In Christian theology the Protestants are those who are irrelevant. (John the Baptist) Repent and return back to Jesus before it is too late and you miss out on entering into heaven. (Cristoiglesia) Jesus warned at the synagogue in Capernaum and emphasized the literalness of his words redundantly that we must eat His Body and drink His Blood for eternal life. Have you done as He commanded? He said that this was necessary for us to abide in Him and He in us. God bless! (John the Baptist) How can we be one in church when your church teaches false doctrines about mary? (Cristoiglesia) According to the Bible it is impossible for the Church to teach false doctrines. What your statement clearly reveals is that you cannot endure sound doctrines. By not enduring sound doctrines you willfully place yourself outside of Christ’s Church. Yes, the Church teaches the truth that the blessed mother of God was assumed into heaven at the end of her earthly life. 489 After a long period of waiting the times are fulfilled in her, the exalted Daughter of Sion, and the new plan of salvation is established." 967 By her complete adherence to the Father's will, to his Son's redemptive work, and to every prompting of the Holy Spirit, the Virgin Mary is the Church's model of faith and charity. Thus she is a "preeminent and . . . wholly unique member of the Church"; indeed, she is the "exemplary realization" (typus) of the Church. 969 "This motherhood of Mary in the order of grace continues uninterruptedly from the consent which she loyally gave at the Annunciation and which she sustained without wavering beneath the cross, until the eternal fulfillment of all the elect. Taken up to heaven she did not lay aside this saving office but by her manifold intercession continues to bring us the gifts of eternal salvation .... Therefore the Blessed Virgin is invoked in the Church under the titles of Advocate, Helper, Benefactress, and Mediatrix." 970 "Mary's function as mother of men in no way obscures or diminishes this unique mediation of Christ, but rather shows its power. But the Blessed Virgin's salutary influence on men . . . flows forth from the superabundance of the merits of Christ, rests on his mediation, depends entirely on it, and draws all its power from it. No creature could ever be counted along with the Incarnate Word and Redeemer; but just as the priesthood of Christ is shared in various ways both by his ministers and the faithful, and as the one goodness of God is radiated in different ways among his creatures, so also the unique mediation of the Redeemer does not exclude but rather gives rise to a manifold cooperation which is but a sharing in this one source." 973 By pronouncing her "fiat" at the Annunciation and giving her consent to the Incarnation, Mary was already collaborating with the whole work her Son was to accomplish. She is mother wherever he is Savior and head of the Mystical Body." (Cristoiglesia) Jesus is the King and the mother of the King in the first century was always called the Queen. We give the same respect for our king to his mother. (John the Baptist) Yet none of these doctrines about mary are found anywhere within the pages of Scriptures! (Cristoiglesia) Really? So are you are saying that none of these teachings are in the Bible either explicitly or implicitly and that it is impossible to come to the theological conclusions of any of these teachings from the Bible. Additionally, are you not putting the cart before the horse by attributing to the Bible, which is the product of the Church, a teaching authority that usurps the authority of the Church given by Christ? In other words, how does something not being mentioned in the Bible detract from the teaching of the Church? It does not. (John the Baptist) The mary of the bible is far different from the picture portrayed above. Indeed the biblical mary is a "bondslave of the lord", Luke 1:38, a humble servant of God. The humble attitude of the biblical mary is far removed from the veneration paid to her by the Roman catholic church. (John the Baptist) There is nothing in the bible about any of the doctrines about mary held by your church. (Cristoiglesia) You cannot be serious. Continuing discussion with "John the Baptist"
(John The Baptist) Its interesting that the Rock in Matthew is Jesus and not peter. Through out all the Bible the Rock has always been Jesus, not peter. (Cristoiglesia) Clearly in this instance Jesus is speaking to St. Peter in the presence of the other disciples and is in the process of changing Simon’s name to Peter. Throughout the Old Testament name changes are significant and most often represent a calling to special service to God. In this case Jesus is emphasizing the fact that Simon, being known as Peter, is the prime minister of His Church as prophesied. Of course, this is the verse where our Lord appointed Simon as the leader of the disciples, head of the Church on earth and the Pope. It is believed by some Protestants that they can defend their position of Simon not receiving the authority from Jesus by using the original Greek. (John the Baptist) Its irrelevant what you or the catholic church says for neither one of you have the truth. The truth is that Jesus is the Rock the church was built on not peter. (Cristoiglesia) It is interesting that you claim to be a follower of the Bible and yet deny the teaching of Scripture that says that the Church is the “pillar and foundation of the truth”. So, your argument against the Church that Christ founded not having the truth is, in fact, contrary to the teaching of Scripture. I assume you ignore this teaching as it threatens your prejudice against Christ’s Church and your own desire to support your disobedience by ignoring this teaching and remaining outside of his Church preferring instead those false teachers that satisfy your itching ears. (John the Baptist) In Matthew 18 Jesus also gives all authority to all the disciples not just to peter. (Cristoiglesia) Matthew 16:18 And I say also unto thee, That thou art Peter, and upon this rock I will build my church; and the gates of hell shall not prevail against it. Here Jesus was indeed speaking to all the disciples and giving this authority to them and thus to the Church. This, however, does not detract from the clear teaching of Scripture that St. Peter is the prime minister of the Church appointed by Christ to fulfill the prophecy of Isaiah. (John the Baptist) Therefore what you says is irrelevant for you do not have the truth. (Cristoiglesia) As I quoted from Scriptures Christ’s Church the Catholic Church does have the assurance of truth as the Bible calls the Church the “pillar and foundation of the truth”. What I have shown you is the teaching of the Church for 2000 years. May the Holy Spirit inspire you top the truth proclaimed in Christ’s own Church. God bless! (John the Baptist) The church is the body of Jesus and Jesus is the head of the body. The pope has no authority over the church, only Jesus has that authority. If the pope did have authority then he has to follow what Jesus says not what he wants. Listening to all the things the pope is saying, it seems the pope is moving away from the truths in the Bible and away from Jesus. He is the image of the invisible God, the firstborn over all creation. 16For by Him all things were created that are in heaven and that are on earth, visible and invisible, whether thrones or dominions or principalities or powers. All things were created through Him and for Him. 17And He is before all things, and in Him all things consist. 18And He is the head of the body, the church, who is the beginning, the firstborn from the dead, that in all things He may have the preeminence. (Cristoiglesia) Let us look at what the whole body of Scriptures says instead of using an eisegetical approach to understanding as you have done. The Bible teaches us that Jesus is the high priest, St. Peter is the prime minister and the twelve disciples are the foundation stones of the Church. Unlike what you claim without citing a single example, papal teaching has never contradicted anything that our Lord has taught but instead has confirmed His teaching and proclaimed it to the world. Nothing in the Scriptures you provided denies the authority that Jesus gave to St. Peter and His successors as prophesied by Isaiah in fulfilling the Scriptures. The Church is given all authority on earth by Jesus and St. Peter and His successors are the prime ministers. In the late first century after the founding of the Church at Pentecost St. Ignatius the third bishop of St. Peters bishopric at Antioch defined the Church as it was understood in the apostolic times as those who gather around the bishops saying, “where the bishops is there is the Church” (Letter to the Smyrnaeans). Without the Pope and the other bishops there is no Church as the visible and invisible Church are those who are obedient and faithful to the bishop. The Pope is the visible head of the Church serving as the servant of servants. In using the construction vernacular Jesus was speaking of building His Church and giving the authority, represented by the keys, to St. Peter. In doing so He fulfilled the prophecy of Isaiah of the Messiah appointing an earthly prime minister of the Church and establishing the enduring office of prime minister that would endure for all times. (John the Baptist) Jesus says He is the head of the church not the pope. (Cristoiglesia) As you can clearly see, Jesus being the high priest does not detract from the fact that Jesus with the authority of the High priest appointed St. Peter as His prime minister of His enduring Church on earth. We further understand from Scriptures that it is this Church under the leadership of the prime minister appointed by Jesus that contains those who are obedient and faithful to Christ’s desire that we be one in His Church.